2013 Freedom of Expression Digital Activism Award-winning Bassel Khartabil. 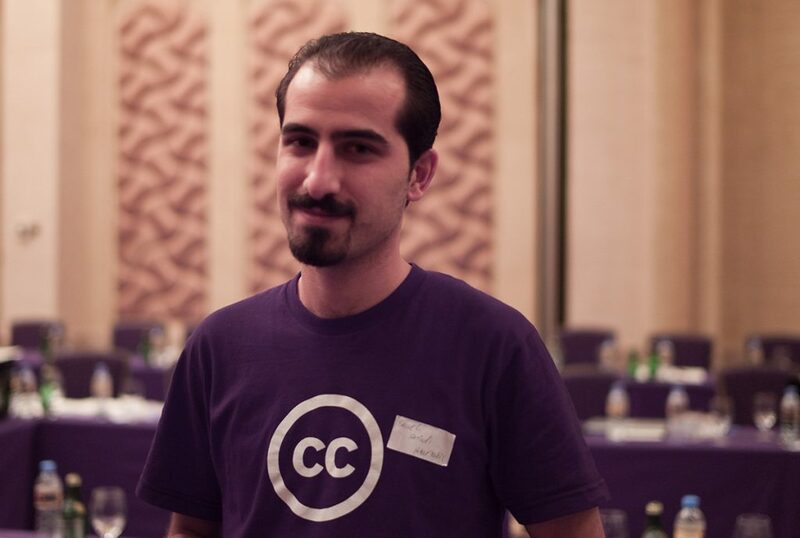 Index on Censorship mourns the death of 2013 Freedom of Expression Digital Activism Award-winning Bassel Khartabil, who had been held Syrian prisons since 2012. His execution by the Syrian government was announced by his wife, Noura Ghazi Safadi, on Tuesday 1 August 2017. “Bassel was a true inspiration and hero for us all. 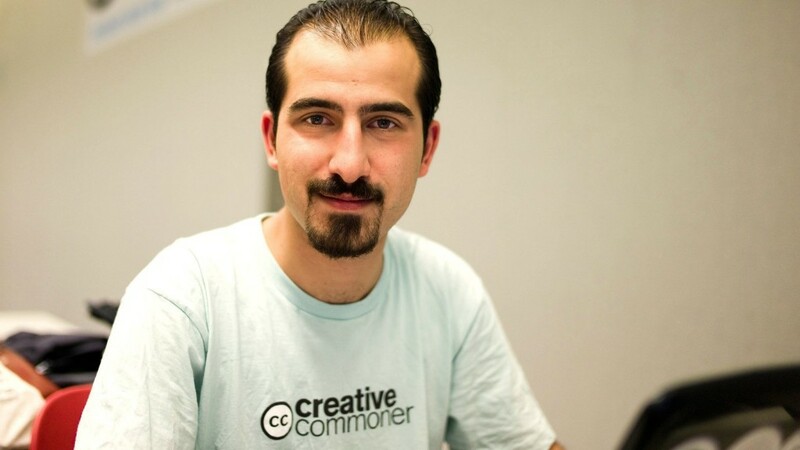 Index joins with outraged members of the international community to mourn the death of Bassel, who lived and died for his belief in freedom of speech, transparency and a free internet. We extend our deepest condolences to his family,” Melody Patry, head of advocacy, Index on Censorship said. 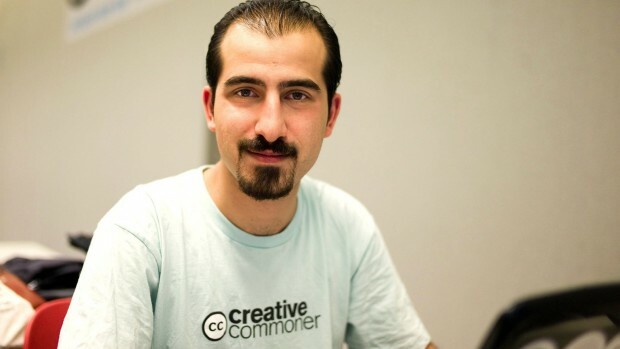 A Syrian-born Palestinian digital activist, Khartabil (aka Bassel Safadi) worked to build a career in software and web development. Before his arrest, he used his technical expertise to help advance freedom of speech and access to information via the internet. Among other projects, he founded Creative Commons Syria, a non-profit organisation that enables people to share artistic and other work using free legal tools. Khartabil’s digital work is still advancing knowledge: colleagues produced a 3D model of the ancient Palmyra ruins destroyed by Isis using data collected by Khartabil before his detention. In 2010, Khartabil started Syria’s first hackerspace, Aiki Lab, in Damascus. It was a base from which he helped advance the open source movement in Syria. Khartabil is also known for his work on free culture projects such as Mozilla Firefox, and was an avid contributor and editor to Wikipedia. Prior to his arrest, he was working on software to enable the free flow of information in a country where online communications and networks were closely monitored by the government. Because of his efforts using technology to promote an open and free internet — especially in Syria, where online censorship is rife — Khartabil won the 2013 Index on Censorship Digital Freedom Award. In 2012, Foreign Policy magazine named him as one of the top 100 global thinkers. In 2015, the Massachusetts Institute of Technology offered him a research scientist position in the Media Lab’s Center for Civic Media. Syria’s military intelligence illegally detained Khartabil on March 15, 2012. He was held incommunicado in detention for eight months and was subjected to torture and other ill-treatment. He faced military field court proceedings for his peaceful activities in support of freedom of expression. A military judge interrogated Khartabil for a few minutes on December 9, 2012, but he had heard nothing further about his legal case, he told his family later. In December 2012 he was moved to ‘Adra prison in Damascus, where he remained until October 3, 2015, when he was transferred to an undisclosed location. On 12 November 2015, Khartabil’s wife, Noura Ghazi Safadi, reported rumours that her husband had been sentenced to death by the military courts, although the Assad regime never confirmed or denied the reports. According to anonymous sources, Khartabil’s wife was told that after his disappearance he was tried by a military field court in the military police headquarters in al-Qaboun, which sentenced him to death. Military field courts in Syria are exceptional courts with secret, closed-door proceedings that do not meet international fair trial standards. Defendants have no legal representation, and the courts’ decisions are binding and not subject to appeal. People brought before such courts who were later released have said that proceedings are perfunctory, often lasting only minutes. Throughout his detention, many human rights groups have campaigned for his release. On 21 April 2015, the United Nations Working Group on Arbitrary Detention declared his detention a violation of the International Covenant on Civil and Political Rights and called for his release. Bassel Khartabil, winner of the 2013 Freedom of Expression Digital Activism Award, was in prison when he won the award. His friends accepted the award on his behalf. 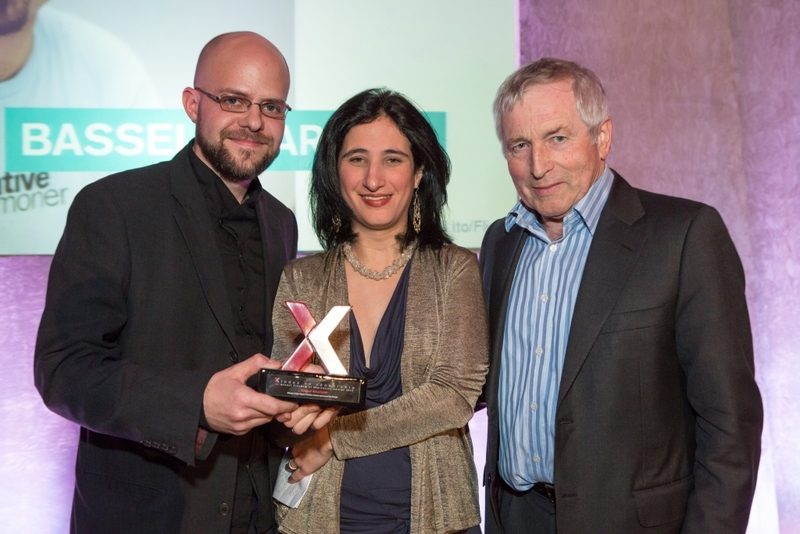 From left: Jon Phillips, Dana Trometer and then-chair of Index on Censorship Jonathan Dimbleby. 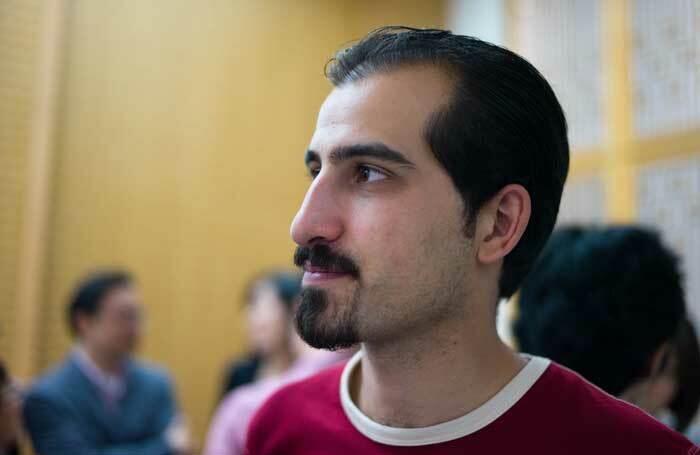 In his speech accepting the 2013 Freedom of Expression Digital Activism Award, digital activist Bassel Khartabil stressed nonviolence in the struggle for freedom in Syria. The family of Bassel Khartabil, a Syrian-Palestinian software engineer and free speech activist, confirmed that he had been subjected to an extrajudicial execution in October 2015. 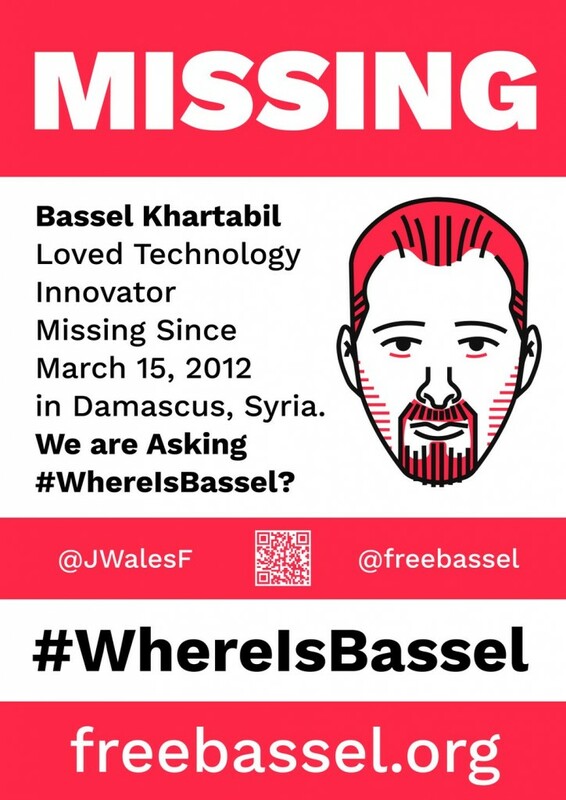 19 March: Where is Bassel Khartabil?